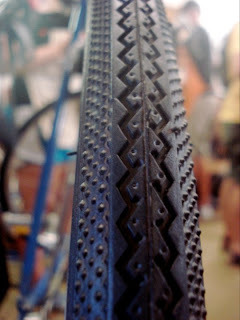 Get in Gear with BikeAthens! That is to say, while I had the ability to ride around in circles in my driveway, I had never voyaged outside the boundaries of my neighborhood. My lack of experience didn&apos;t come from a lack of interest though, the disconnect was more the result of my community, which didn&apos;t really support biking as a means of transportation or even public activity. Biking was strictly for kids in driveways and families in parks. Just last month, Athens-Clarke County received the distinguished designation of Bike Friendly Community from the League of American Bicyclists. Now numbering among only 2 other counties in the state (179 nationally out of over 450 applied) to receive this designation, Athens, GA has been recognized for its efforts and success in creating a bike friendly community. And who do we have to thank for this prestigious honor? 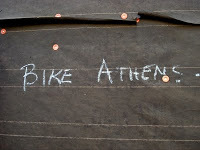 Aside from a&nbsp;willing community and cooperative local government, the biggest strides made in the way of making Athens a safe and accessible biking city have come from the commitment of local non-profit, BikeAthens. So, as a blossoming Athens biker myself, I decided to get my hands dirty for the good of the greater community. Situated in the Chase Park Warehouse next to Pig Pen Studios, BikeAthens workshop has the quirk and heart of all the best Athens locations. Maybe somewhat wishfully prepared, I navigated the somehow artful construction of the Warehouse in a clean set of clothes with two of my willing friends. 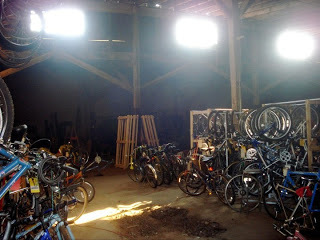 Inside the buzzing workshop, a few clusters of volunteers hovered around bikes in repair. Not much of a mechanic myself, I realized I may have overestimated my abilities to help, but my doubts were quickly quieted as the nearest group of volunteers greeted us with aprons and pulled us into their current project- a beautiful blue road bike in need of a fresh chain. Teams worked and laughed together all around the workshop&nbsp;engrossed in their repairs, and before I had even managed to&nbsp;smear any grease on my face, we had successfully added the good-as-new chain to our blue beauty. In talking with the wide variety of volunteers of assorted age groups and levels of expertise, it seemed quite clear that what they all shared was a common&nbsp;appreciation and recognition&nbsp;of&nbsp;the value of a town striving for&nbsp;openness and accessibility. If you&apos;re like me and&nbsp;haven&apos;t experienced much of the world by bike, Athens, GA, is the best place to start. Throw your old bike in the trunk and&nbsp;make a visit, I guarantee you and your bike will be welcomed with open arms. Oh, what&apos;s that?&nbsp;You don&apos;t have a bike? Even better! You&apos;ll get plenty of help making the perfect purchase&nbsp;from the experts at Sunshine Cyles, Ben&apos;s Bikes, or the Hub Bikes. Or&nbsp;help support BikeAthens by buying one of their refurbished bikes, with proceeds funding further repairs and workshop costs, at Earth Fare on Saturday, June 18, from 2-4 p.m. Check out more tours and itineraries here. Find everything else&nbsp;you need to know about planning your visit on our site.